Greetings from Michigan where I am hanging out with one of the coolest almost-2 year olds in the world and, of course, running just a bit. On the books for yesterday was 14 miles. Easy peasy. 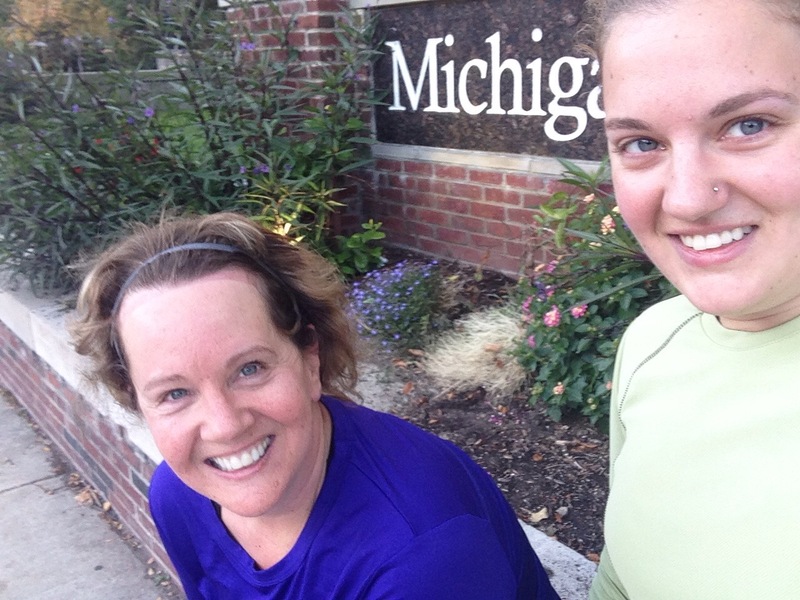 Because of a last minute change in plans, my mom and I did 7 miles bright and early (and with temperatures in the 30s!). A few hours later, Jessica came and we did 6 more. Not quite 14 but I’ll take it. It’s taper time, after all. Both runs were pretty good. In my recollection of Ann Arbor, the city is pretty flat with a couple of pretty insignificant hills. I moved here from Iowa City which has giant hills no matter where you run (I’m talking either hills that either seem like you’re running straight up or hills that take 10 minutes to get to the top) and now in Silver Spring, it’s not much different. Most of my runs are up and down the whole time. Jessica and I somehow managed to find quite a few hills. We had dinner at my favorite Ann Arbor place last night – Knights! I had a prime rib which was awesome but I think I may need to upgrade to the larger size post-run. I was still hungry afterward so we just had to go get ice cream! Yummmm.